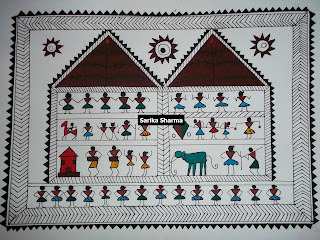 Warli Paintings are indigenous of Maharashtra. The word “Warli” come from the word “warla” which means the piece of land. Warli is the name of the biggest tribe found on the Northern outskirts of Mumbai. 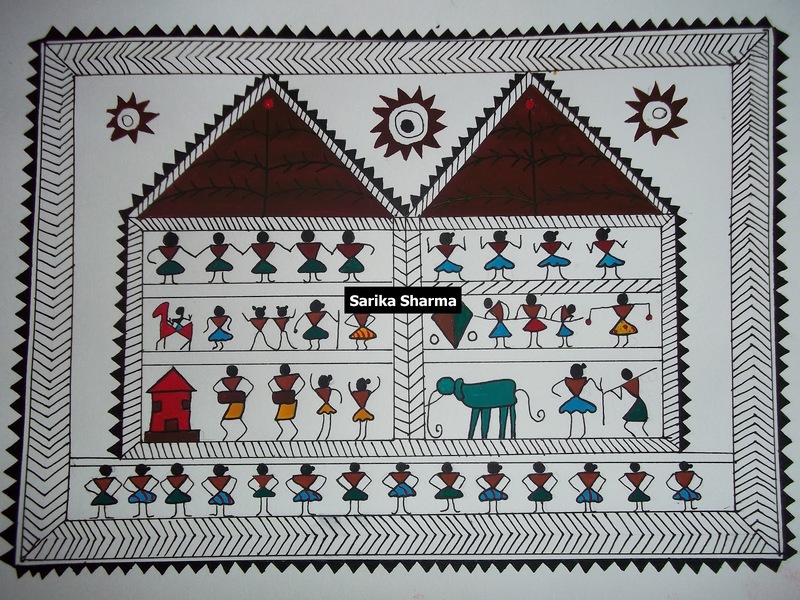 Warli Paintings tradition of stretching goes back to 2500 or 3000 BC. Warli paintings are extremely rudimentary wall paintings. They use a very basic graphic vocabulary like a circle, a triangle and a square. Earlier Warli painting used to be etched out on walls of Warli houses, but nowadays, they are being painted on paper, vases, mugs, bedsheets, apparel too. This art is pretty popular all over India and the world as well. Simple and aesthetic in appeal.